2,222 is the magic number! 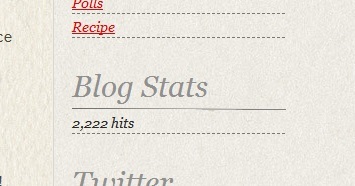 My blog reach 2,222 hits this afternoon. That’s a lucky number. We should buy lottery tickets.